Bill Barber has devoted his legal career to the field of trademark law, focusing primarily on trademark litigation and policing, handling cases in federal courts across the U.S. and before the U.S. Patent and Trademark Office. 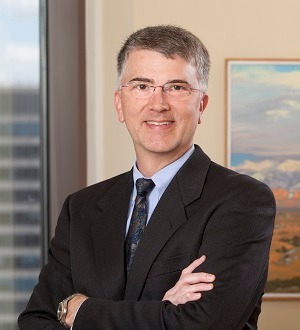 Experienced in all aspects of litigation, including jury and bench trials as well as appeals, Bill also handles domain name disputes through ICANN’s domain name dispute resolution policies. He regularly assists clients with a wide range of trademark needs, including trademark policing strategies and programs, trademark clearance, and trademark prosecution. Bill served as vice chair of the U.S. Patent and Trademark Office Trademark Public Advisory Committee, has testified before Congress regarding reforms to the federal trademark dilution statute, and is a frequent author and speaker on various trademark and unfair competition topics. He is a past president of the American Intellectual Property Law Association and a past chair of the State Bar of Texas Intellectual Property Law Section. Bill has received a number of professional awards in his career, including Best Lawyers’ Austin Lawyer of the Year for Trademark Law (2012, 2015, 2017) and Intellectual Property Litigation (2013, 2016). Appearing in WTR 1000 since the inaugural edition, the publication awarded Mr. Barber Gold status nationally in both the “Prosecution and Strategy” and “Enforcement and Litigation” categories, and heralded him as a “legend in the field.” He has also been recognized in Chambers USA/Global, Expert Guides Trademark, Texas Super Lawyers, Trademark Law Experts, and Who’s Who Legal: Texas/Trademarks. Bill received a B.S. in Chemical Engineering with highest honors from The University of Texas at Austin in 1984. He earned a J.D. with high honors from The University of Texas School of Law in 1987. Last but not least, Bill is a devoted husband and father. Bill and his wife Melinda have three daughters, Robyn, Elyse, and Melynn.